That magic moment when you decide that you want to go ahead and pursue your dream, to change the world as you know it today, and begin your journey as an entrepreneur, you have many challenges, so here is a bit of advice that worked for me. In fact, at times it really did wonders, especially when dealing with people. 1) The problem isn’t the problem, it’s your attitude about the problem. We tend to make things bigger than they are, taking them out of scope. Keeping this tip in mind helped me take a step back and rationalize the problem objectively. Helps you to see where you’re going, the resources and strategy needed, and not see it all from your own personal prespective. I cannot empathize how important this is. What is frustration? Frustration appears when your team, your provider, your whatever, is not meeting your expectations. This might be for several reasons, but most likely, it is because they are not aligned with you. To prevent this, always, always, communicate your vision, a “why”, and a validation: “We are going to climb the mountain BECAUSE we need the resources that are only available on the top AND we will know we climbed the mountain because we will put a flag on top”. I read everywhere that’s important to delegate. In my experience, it’s not about knowing what to delegate (that’s the easy part at least for me now), what I’m learning now is HOW to delegate. This is very related to point number 2 and can cause, besides frustration, mistrust with your workers. To prevent this, have meetings where you let everyone know the minutes (what you will discuss), provide the vision, discuss the methodology and the “why”, provide validation and write it down for the others and send it by e-mail after. I was in Utrecht, for Games For Health Europe, a few weeks ago, and had this great interview there. 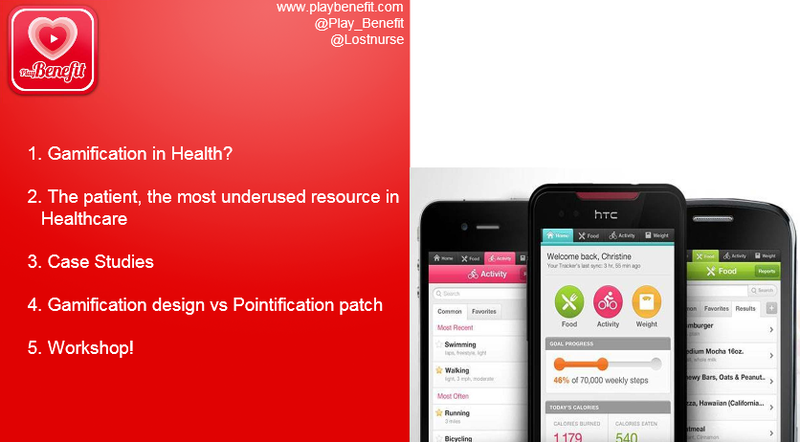 It gives me the opportunity to explain in detail about my company PlayBenefit, about Benergy (our first mobile app that’s about to come to life), and how I got until here 😉 Hope you enjoy it! What the heck is Pokémon? It´s a videogame created by Satoshi Tajiri and the illustrator Ken Sugimori, and released by Nintendo in 1996. “Pokémon” comes from “pocket monster”. There are currently 729 Pokémon, of all shapes and colors – Pikachu is the most famous of them all. Pokémon Go is the latest release of the franchise, which uses augmented reality. You’re a coach of these monsters (the Pokémon) and have to go outdoors to hunt them. Of course you´ll find enemies, allies and resources (some paid) along the way to accomplish your hunting mission. You download the game on your mobile (it’s free), choose your avatar (a character) and go out to hunt the Pokémon that shows up along your way. And immediately you will see some little monsters in your own room. Do not panic. You aim your mobile towards him and throw the ball (a “pokeball), that is your tool to hunt the monsters. Once the ball captures him, you wait until it is done (sometimes they escape the ball; so better wait to guarantee the hunt is over). Next step is to go outside and see Pokémon around in monuments, squares, public places. Go for them! The more Pokémon you hunt, more points you earn and, naturally, you level up. When you reach level 5, you can enter the “gym” to practice with other Pokémon trainers. A little trick to advance in the game is to use the technique of the “curve ball ” which gives the pokeball the effect of a curve ball just like in baseball. You can do this by, when throwing the ball, keeping pressure on it while you make it spin quickly. Then you throw it furiously! Attention because you get the effect when you spin the ball clockwise but toss it to the left (or the other way around). The pokeball will make the curve and eventually go towards the right direction. Capturing a Pokémon with the curve ball will give you additional experience points. Ah, if you run out of pokeballs (they are not infinite), you can get some more at the pokestops. You should spin the stop and some balls will be given to you. Should I feel ridiculous for enjoying the game? Not at all! Pokémon Go is one of the most entertaining ways to exercise without even realizing you are doing it. As a nurse I have recommended a thousand times walking to lower blood pressure, improve circulation, lose weight… The only way to collect Pokémon is walking a minimum of 0.5 kilometers, so you will walk and you will have a reward for it. Also, you will not be alone because you will be part of a community of more than 100 million people worldwide. The daily use of Pokémon Go has surpassed that of the most popular apps, such as WhatsApp, Instagram and Snapchat, and social networks such as Twitter and Facebook. It has also been ranked first in turnover in the app stores of nearly everywhere. Besides all hype and the sweet nostalgia, the game isn´t all finished and has some bugs. It means that options are limited, there are not so many actions you can take within the game, and no social feed. 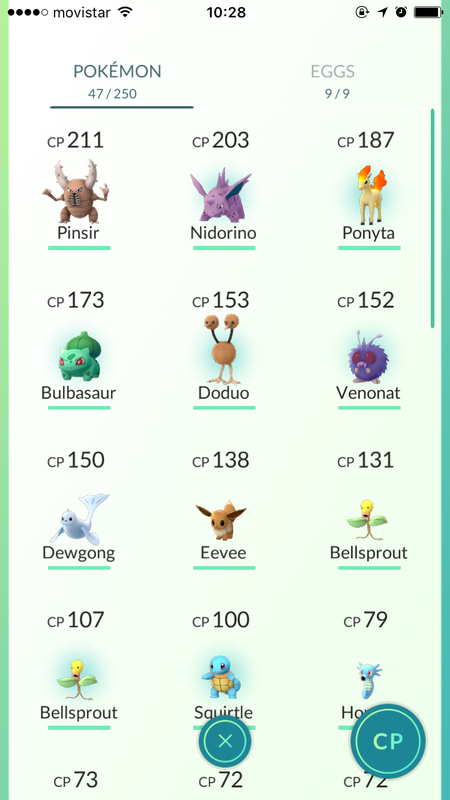 According to Niantic, the developer, there are features missing. Besides, depending when and where you are, servers can´t take it and go down. Not if you are a responsible person. You shouldn´t play it when driving (of course!) or if you’re doing some activity that requires full concentration. However it´s true that you can be distracted and get lost around town. In the United States the Pokémon hunt took a player to find a dead body. It is so surreal that this article wonders why Pokémon players will keep finding dead bodies along their hunting. Additionally you should keep an eye on the personal information you are automatically opening through your Google account. How to play without running out of battery? It’s true that the game consumes a lot of battery (and a lot of data). If you do not have an unlimited plan or a lot of available mobile data, you may fall short. However, you can save some battery with resources from the game itself. Go to Setttings > Battery Saver. Activate it. With this when turning the mobile device down, the screen will be black. Also it deactivates the augmented reality camera – when showing the monster, you won´t see your reality but only the virtual one. Agosto es mes de vacaciones y de relax, ¿cierto? Pues la verdad es que no siempre. Muchas personas, como yo y casi todo el mundo que conozco, necesitan algo de ayuda para conseguir “resetear” su mente de cara a septiembre. ¿Dónde conseguir herramientas para prepararse para los nuevos retos? En las app store, ¡por supuesto! Aquí pongo tres sugerencias de aplicaciones que nos ayudan a sentirnos mejor, más descansados y, eso dicen, más felices. Si alguna vez te has planteado meditar, pero no sabes cómo, esta la app para ti. Pero si eso de “meditar” te parece demasiado rollo y sólo necesitas bajar un poco la ansiedad o dormir mejor, pues esta también es la app para ti. Headspace es una aplicación en la que poco a poco va conquistando usuarios (ya son 6 millones) por su simplicidad, aunque también la ayudó la publicidad espontánea la estrella de cine Emma Watson (puso un tweet animando a sus más de 20 millones de seguidores a descargarse la app!) y la voz hipnotizante de su fundador, Andy Puddicombe, que hace todas las meditaciones guiadas y vídeos. Lo que pide la app para engancharte es que pruebes su programa gratuito: 10 minutos al día de meditación guiada durante 10 días. Si te convence, puedes pasar a suscripción (9,95€ mensuales) y tener acceso a más de 350 horas de todo tipo de meditación guiada que se te ocurra. En resumen: ¡mola! Cuánto $: 1 capítulo con 10 meditaciones gratuitas (que puedes repetir ad-eternum) y lo demás por suscripción mensal, anual, bi-anual o eterna. Puntazo: la voz del narrador, Andy Puddicombe, ¡me encanta! Fragilidad: la app, totalmente basada en audio y con algo de vídeo, está disponible solamente en inglés. Esta es de aquellas apps con una historia real y auténtica por detrás. Es la historia de cómo una aplicación basada en la mecánica y diseño de los vídeo-juegos, lo que se llama gamificación, puede ayudar de manera efectiva a personas con problemas serios (o no) de salud a salir del berenjenal y de la oscuridad. La creadora es Jane McGonigal, una game designer que, ¡ajá!, estuvo ella misma inmersa en una depresión causada a raíz de una concusión en la cabeza. Una de las herramientas para curarse fue la creación de SuperBetter. Según ella explica, necesitaba una motivación para salir de la cama y tener pequeñas misiones que hacer durante el día; le ayudaba a sentirse productiva y que había realizado algo para ella misma ese día. Ella cuenta la historia en este TED talk. ¡Soy fan! También hay un libro sobre los resultados de la app súper interesante que se llama SuperBetter, lectura de verano muy recomendada. Puntazo: resiliencia, la habilidad de mantenerse motivado frente a un gran reto y hacerlo pequeño para poder avanzar cada día, está en el centro de la app. Fragilidad: la falta de actualizaciones, push notifications y comunicación con el usuario fuera del ambiente de la app. SuperBetter se quedó en una primera versión; en principio quieren sacar una segunda, pero la campaña en Indiegogo no les salió bien. Para qué es: traducir conocimiento científico sobre felicidad en felicidad “de verdad”. Happify fue creada hace menos de tres años y tiene más de 1,3 millón de usuarios. Su éxito, para mí, viene a raíz de su abordaje científico a algo tan filosófico como es el concepto de “felicidad”. En la app, para ser feliz, hay que reducir los niveles de stress y ansiedad, y la forma de lograrlo es haciendo actividades para mitigar los pensamientos negativos y aumentar la resiliencia. Hay una cierta crítica a Happify por lo que sería un método de conseguir “felicidad exprés”, pero, por lo visto, está funcionando para mucha gente. Así que… ¿por qué no? Cuánto $: una pequeña parte es gratuita y lo demás con suscripción mensual (11,99€), anual o eterna. Puntazo: hay grandes dosis de contenido de la app. Y está gente como Amy Jo Kim detrás, muy potente en diseño de vídeo-juegos con link social. Fragilidad: hay tanto contenido que a veces te pierdes un poco. A mí personalmente no me gusta el look&feel, aunque son pasos a una sociedad más encarada a la prevención… así que me vale. Un videogame creado por Satoshi Tajiri y el ilustrador Ken Sugimori, y lanzado por Nintendo en 1996. “Pokémon” viene de “pocket monster” (“pequeño monstruo”). Actualmente hay 729 pokémons, de todas las formas y colores – Pikachu es el más famoso de todos. 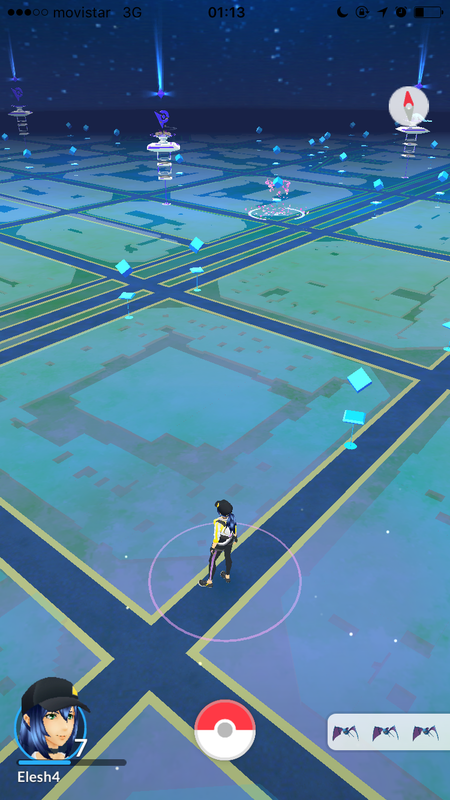 Pokémon Go es el último lanzamiento de la franquicia, que usa realidad aumentada para poner en marcha la dinámica del juego. Eres un entrenador de estos monstruos, los pokémon y tienes que ir a la calle para cazarlos. Por supuesto que por el camino encontrarás enemigos, aliados y recursos (algunos pagados) para cazar más. 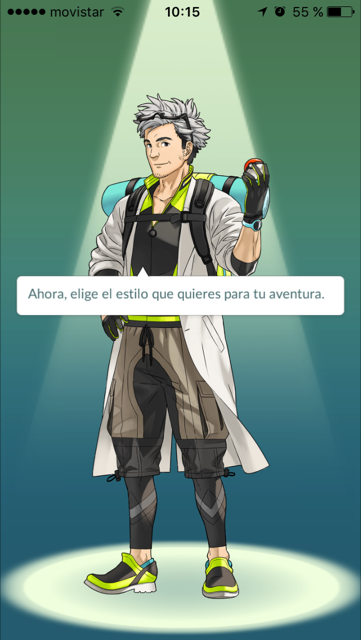 Bajas el juego en el móvil (es gratuito), eliges tu avatar (personaje) y sales a cazar los pokémons que aparezcan por el camino. Ya de inmediato te saldrán algunos en tu salón. No te asustes. Le apuntas el móvil y lo capturas apuntando con una pelota, esperando que se encierre bien encerrado (la pelota es la “pokéball” y sirve para capturar los monstruitos). Entonces sal a la calle y verás que están en monumentos, plazas, sitios públicos. ¡Ve a por ellos! Cuanto más pokémons caces, más puntos ganarás y subirás de niveles. Cuando llegues al nivel 5, podrás entrar en los gimnasios para practicar con otros entrenadores pokémon. Un truquillo para avanzar en el juego es usar la técnica de la “curve ball”, que consiste en dar a la pokéball el efecto “bola curva” tal y como se hace en el béisbol. Esto lo consigues manteniendo la presión sobre la bola mientras la giras con rapidez, ¡antes de lanzarla con furia! Ojo que el efecto se consigue porque la giras en el sentido del reloj (hacia la derecha) pero la lanzas hacia la izquierda. La pokéball entonces hará la curva y finalmente irá hacia la derecha. La captura del pokémon con la bola curva te dará puntos de experiencia adicionales. Ah, si te quedas sin pokéballs (no son infinitas), puedes conseguir más en las poképaradas. Debes girar con el dedo la redonda de la parada y te saldrán algunas. ¿Debo sentirme ridículo por disfrutar del juego? ¡En absoluto! Antes de todo, Pokémon Go es una de las maneras más entretenidas que han pasado por mis manos para hacer ejercicio sin darte cuenta. He recomendado mil veces como enfermera el andar para bajar la tensión arterial, mejorar la circulación, bajar de peso… La única manera de hacer salir de los huevos que recoges pokémon es caminando un mínimo de 0.5 kilómetros, así que andarás y tendrás una recompensa por ello. Además, no estarás solo, porque formarás parte de una legión que ahora mismo es de unos 21 millones de personas en todo el mundo. El uso diario de Pokémon Go ya ha superado el de las apps más populares, como WhatsApp, Instagram e Snapchat, y las redes sociales, como Twitter y Facebook. También se ha posicionado en primer lugar, en el ránking de facturación, en las app stores de los mercados más importantes mundialmente. A parte del “hype” del momento y de la nostalgia placentera, el juego ahora mismo se encuentra en una fase Alpha. Eso quiere decir que las opciones son muy limitadas, no tienes muchas acciones a realizar en el juego y además no tiene ningún tipo “feed” social. Según Niantic, los desarrolladores, faltan funciones. Además, con la fiebre para bajarlo, los servidores a veces no aguantan y petan. Si eres responsable, no. Lógicamente no debes jugar mientras conduces o haces alguna actividad que requiera concentración total. Además, puedes despistarte y perderte un poco por la ciudad. En Estados Unidos la caza por pokémons llevó un jugador a encontrar un cadáver. Es tan curioso que hasta se ha escrito un articulo de por qué los jugadores de Pokémon Go van a seguir encontrando cadáveres (aquí los ves: http://www.atlasobscura.com/articles/why-pokemon-go-players-are-going-to-keep-finding-dead-bodies). También a nivel de seguridad, fíjate en qué automáticamente está seleccionado de tu información personal, para saber qué datos de tu Gmail estarás dando a la aplicación. ¿Cómo juego sin acabar con mi batería? Es cierto que Pokémon Go consume mucha batería (y muchos datos). Se ve que la venta de baterías externas para móviles ha incrementado un 2.000% desde que salió el juego. Si no tienes un plan ilimitado o con gran cantidad, es posible que te quedes corto. Sin embargo puedes ahorrar un poco de batería con recursos del propio juego. Ve a Opciones (dentro de la pokéball)> Ahorro de batería. Actívalo. Con esto, al girar el móvil hacia abajo, la pantalla se vuelve negra. Además, se queda desactivada la cámara de realidad aumentada (es decir, al encontrar al monstruito, no verás tus alrededores sino el ambiente del juego). Una de las cosas que se repiten y que creo que es de gran importancia cuando hago talleres o cuando estoy en un proyecto, es el hecho de sacar las ideas, ilustrarlas, cambiarlas y volver a sacar más ideas. Es de las partes del trabajo que más me gustan, pero que realizadas de manera ineficiente afectan a la capacidad y volumen de nuestra creatividad. Os dejo tres puntos que pueden afectarnos negativamente cuando estamos en un proceso de creatividad. Parece una tontería pero hay mucha gente que no delimita bien los problemas, y eso afecta tremendamente a nuestra capacidad de originar ideas. 1.1 Delimitar un problema con una primera solución: Eso ocurre mucho. Pongamos que siempre encontramos los baños sucios, y que por tanto queremos que la gente los mantenga más limpios. Un error aquí sería delimitar el problema a “La gente no usa suficientemente la escobilla”. Usar la escobilla es una de las posibles soluciones para mantener los baños limpios, pero hay muchas más que no involucran solo esa zona en particular, y todas las ideas que van a venir de ese “problema” (en realidad, solución) delimitan la capacidad y creatividad, haciendo que todo el mundo se centre en la taza y no el baño en general. 1.2 El problema no tiene porqué ser una negación: A veces nos ocurre que pensamos que la definición de un problema tiene que tener un “no” (“no usa”, “no hace”…), pero eso es parte de las restricciones que hemos visto anteriormente. Si estamos con un “no usa” es que seguramente tenemos en mente un trasto o cosa en particular que no se usa, pero ¿qué hay de los otros factores que pueden estar haciendo que “no usen”? Si delimitamos el problema a un objeto o rutina particular, no podremos ver en qué otras cosas podremos afectar positivamente al usuario para que hagan lo que queremos o lo que se supone que tienen que hacer. 2-. No tener objetivos claros. Al igual que el problema, hay que tener unos objetivos muy claros a resolver. Puede que solamente sea uno, pero debe ser efectivo y realizable. Para elegir bien los objetivos, es importante priorizar y especificar. No me vale un “aumentar las ventas”, pero si me vale “aumentar la cantidad de base de clientes”, “aumentar la frecuencia de interactuación del cliente con nosotros” o “mejorar el aprendizaje del cliente de nuestros servicios”. Todos los anteriores pueden traducirse en ventas, pero son objetivos claros, el primero es un objetivo muy vago. Uno de mis mayores errores (al principio!). Todas las ideas son buenas, por locas que parezcan. Siempre pueden inspirar a otros, si es una sesión conjunta, es importante que todos los participantes puedan exprimirse y decir lo primero que se les viene a la cabeza, pues igual lo que a mi me parece una tontería irrealizable, a otro le inspira otra idea que hace que a un tercer le inspire cómo realizarla a nivel de costes. Todos pensamos diferente y desde diferentes puntos de vista, lo que para nosotros puede parecer una tontería, para otros puede ser muy enriquecedor. 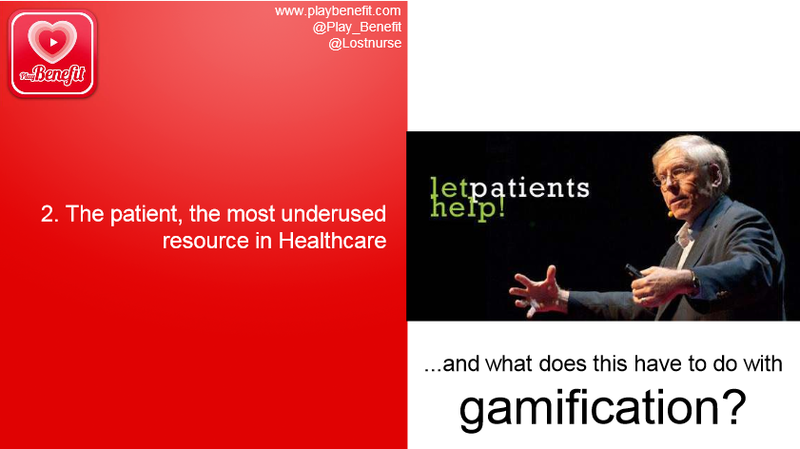 Gamification World Congress – gHealth! Hace unos meses fue el Gamification World Congress en Barcelona, el congreso más grande de Europa sobre Gamificación. Este año Sergio Jiménez (@gamkt) y David Vilella (@blabla) me propusieron de abrir un nuevo apartado en el Congreso sobre salud y Gamificación, que lo terminamos llamamos “gHealth”. Y así con un concepto nuevo y con muchas ganas, empezamos a trabajar sobre la idea de qué queríamos transmitir en ese día, con quién y cómo lo haríamos. Este proceso fue muy divertido, tenía la gran oportunidad de mostrar y presentar el futuro de la Gamificación en el campo de la Salud. Trabajamos mucho para decidir el formato que queríamos, al final nos inclinamos por hacer una presentación con ponentes para introducir básicos de la Gamificación en Salud y terminar con un Workshop, de esta manera situaría la Gamificación con ejemplos y luego los asistentes podrían usar todo lo aprendido y aplicarlo en el Workshop. Para la parte de ponencia, quería ir un paso más allá y no sólo mostrar la actualidad de la Gamificación en Salud y sus posibles futuras aplicaciones, también quería hablar de hacía donde puede ir y con que otras teorías funciona bien. Para esta parte quise contar con dos ponentes extraordinarios, como son Teresa Colombi (@colombi_tex), una psicóloga francesa que lleva años trabajando en salud y Gary Broekhoven (@GvanBroekhoven), un emprendedor nato, dueño de Maverick, una empresa que ayuda a Start-ups de Salud. Con Teresa nos conocimos durante un congreso de serios Games en Niza (SeGaMed), donde hicimos una presentación conjunta sobre Gamificación, y me encantó su manera de explicar la Gamificación para profesionales de la salud. 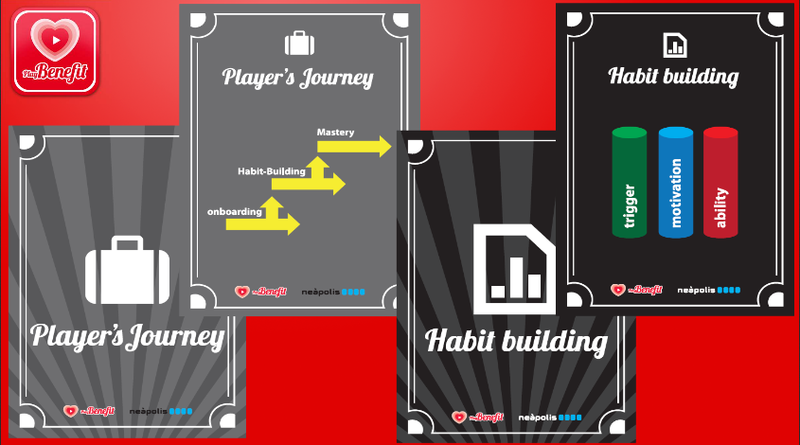 Con Gary coincidimos en un par de grupos de e-Health y Health 2.0 y cuando le propuse de hacer una charla mezclando Gamificación con Tiny Habits le encantó, ya que trabajó durante años en el diseño de máquinas de casino, que es lo mismo pero con un fin diferente. El enfoque que usé para la jornada fué pensando en como las charlas podían hacer ver a los asistentes que la Gamificación podía ser la solución a muchos problemas de adherencia al tratamiento, de acompañamiento en el cambio, creación de nuevos hábitos y de prevención para el siglo XXI enfocando hacia los Tiny Habits para conseguir hábitos de vida saludable. Después durante el Workshop propusimos a los asistentes a solucionar, usando la Gamificación, diferentes problemas de adherencia al tratamiento, de enfermedades crònicas, de prevención (con wellness y fitness) y de márketing. 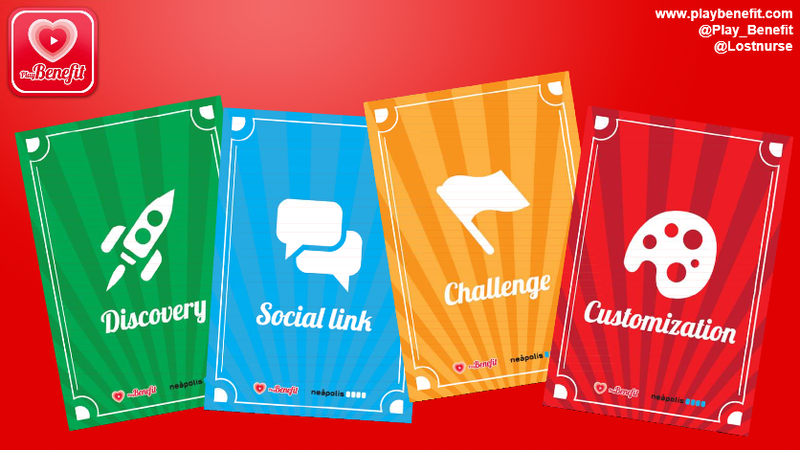 Ofrecimos unas cartas de guía a los equipos para basar soluciones en teoría y luego las presentamos y les dimos feedback. La jornada fue un éxito y gusto mucho. La gente lo pasó muy bien y por el feedback que recogí, aprendieron mucho. Esperamos que el proyecto gHealth siga creciendo y cogiendo forma alrededor del mundo, pues sus posibilidades y beneficios en salud son tremendamente positivas. 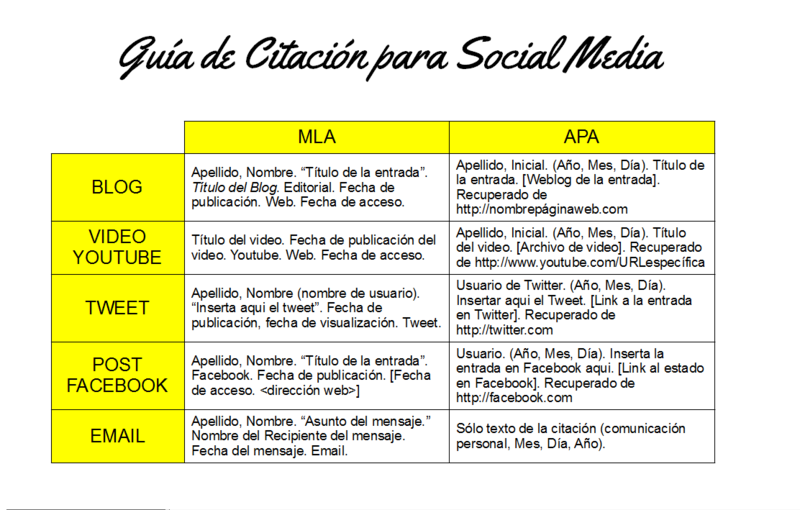 Bien, pues ya que estamos tan metidos en el 2.0. quiero compartir con vosotros una publicación que hizo TeachBytes sobre la citación en el Social Media en formatos MLA y APA. Os dejo más abajo mi versión en español. Sé que muchos trabajos se benefician mucho más de una opinión escrita en un libro que de un Tweet, peró si es verdad que cada vez hay más blogs y de más calidad, y que las redes sociales se usan mucho a modo de lucha social, con lo que en ciertos trabajos puede ser muy interesante para el estudiante poder usar este tipo de bibliografía para enriquecer ese punto de vista. Hace falta por supuesto, siempre guiar bien al alumno para no abusar este tipo de citación y que se use cuando tenga relevancia.